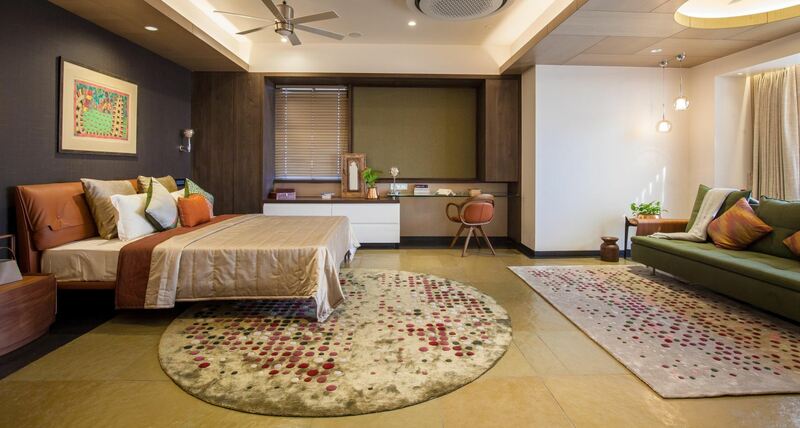 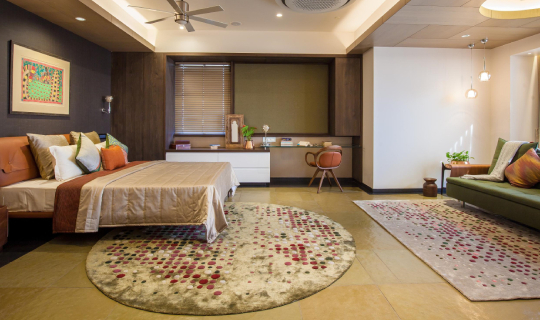 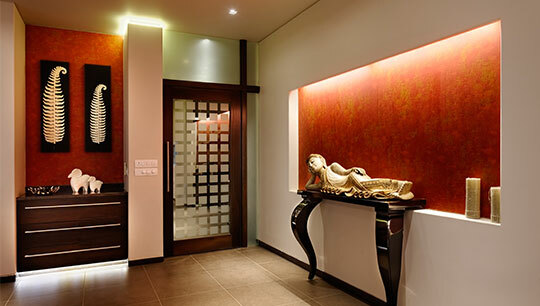 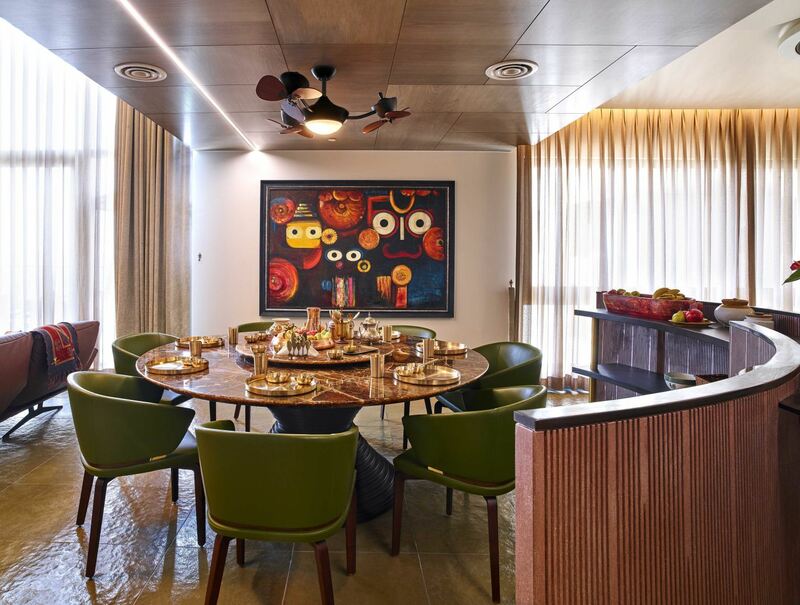 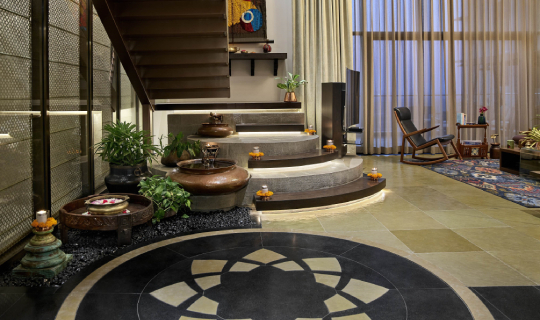 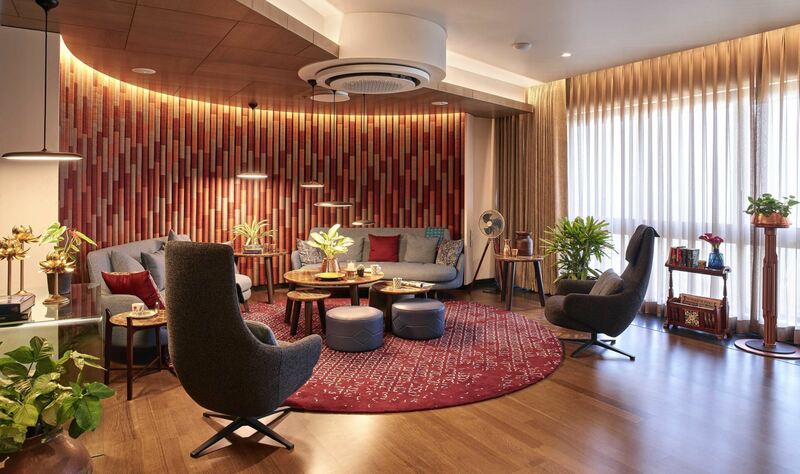 Set amidst the green cover of the Pune University, this duplex apartment is designed to resonate the essence of the ‘Palkhi’, as a cultural symbol of the Maharashtrian festive procession towards the godly destination. 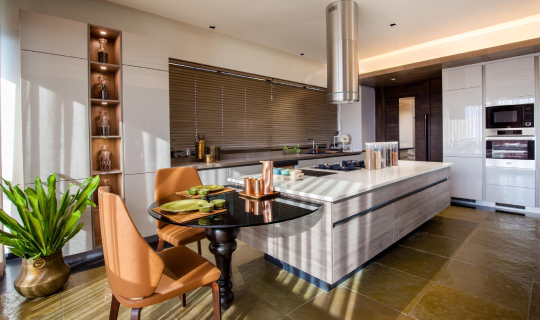 The apartment is blessed with green forest views and celebrates the generous daylight streaming through its openings, further enhanced by reflections from the textures and colours of familiar natural materials used to furnish the space. 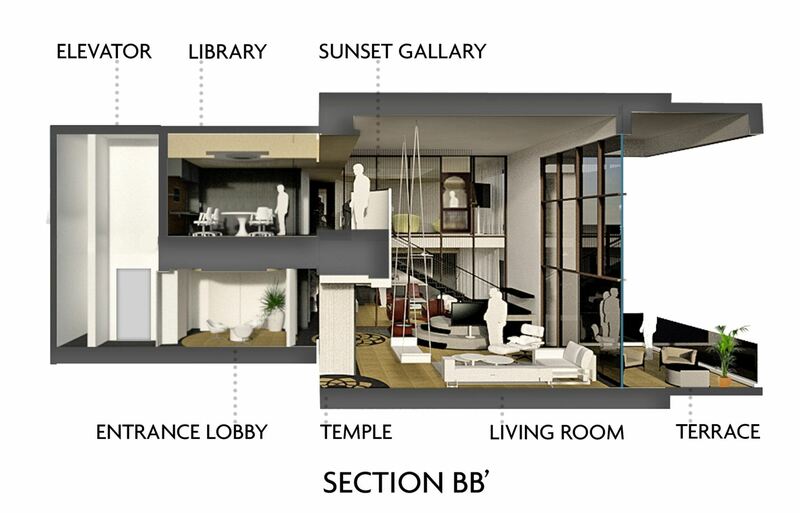 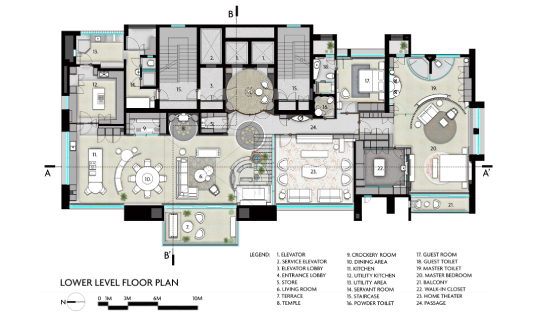 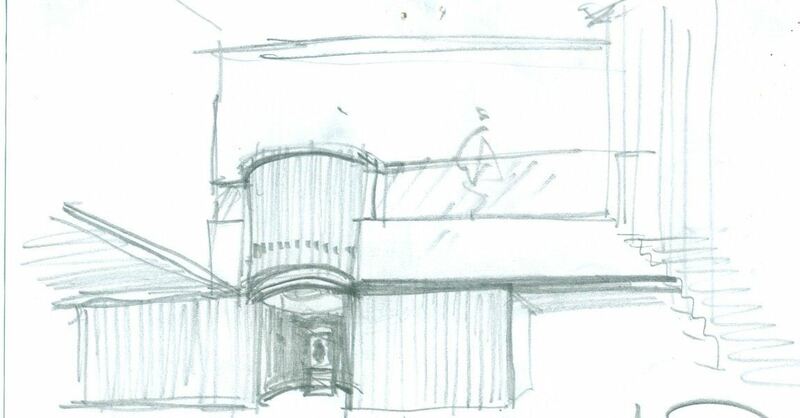 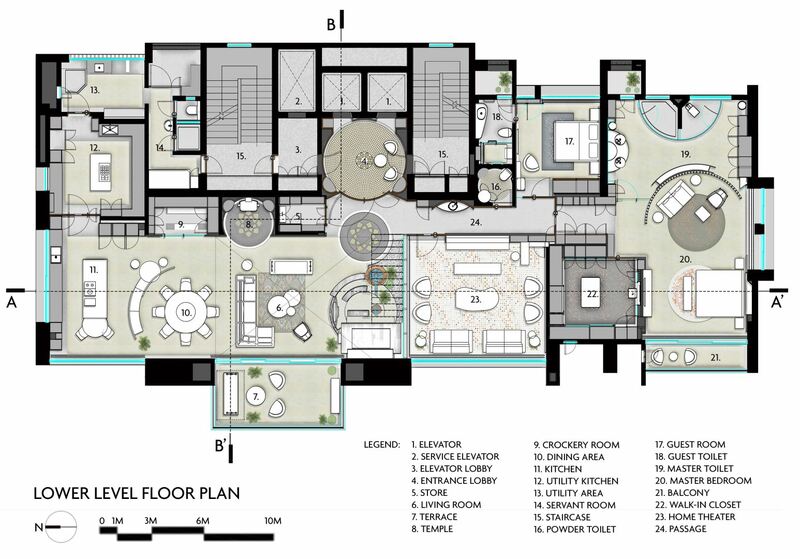 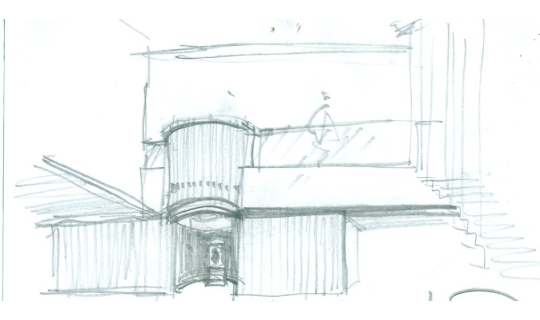 The layout revolves around various interlinked living zones whereas the private rooms are tucked into the corners, visually linked by circulation corridors and open passages. 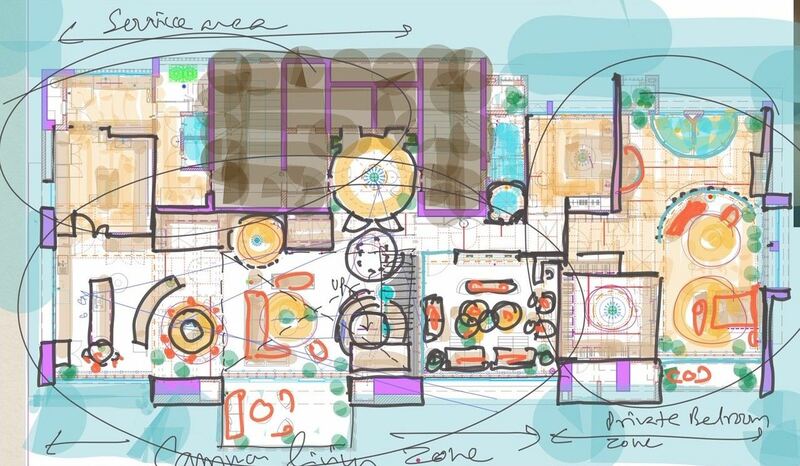 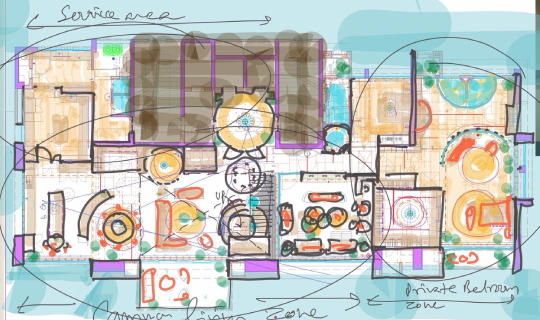 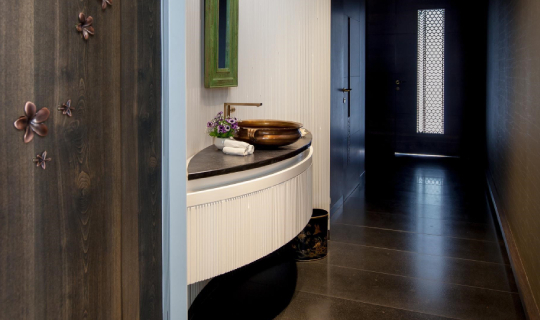 Circles and curves are used in the layout, to assign functional identities to each zone, while highlighting the organic aesthetics of natural materials and traditional crafts. 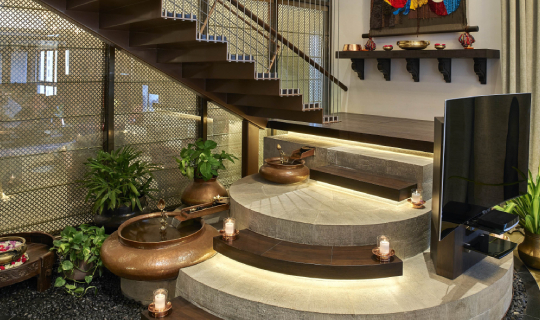 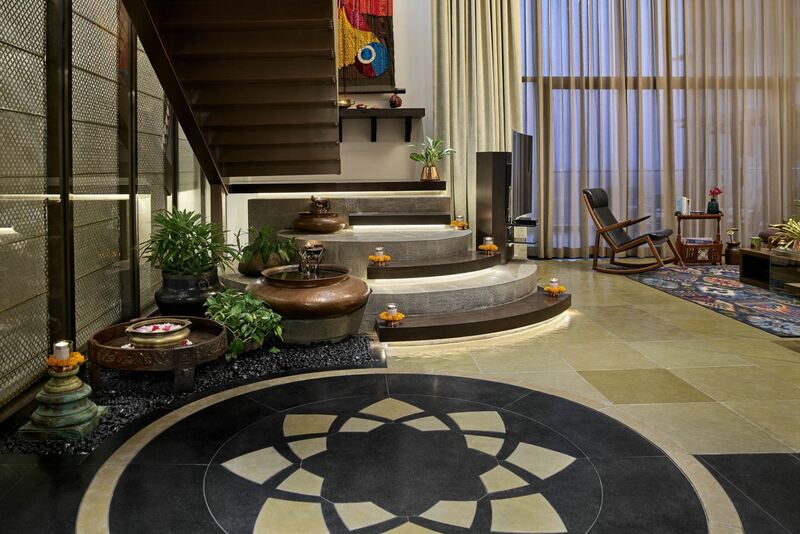 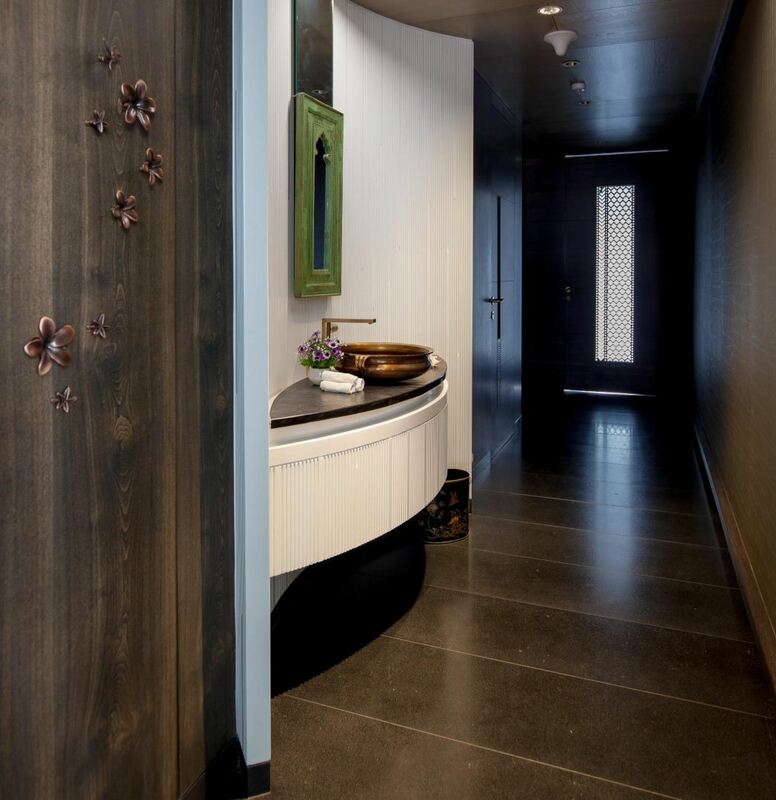 Upon entering the rustic abode, the entrance foyer invites one to join in the family’s daily pilgrimage, adorning the ambience with the tranquil symphony of a bronze vessel water feature, and the warm material palette of copper, stone, wool and pebbles as a welcome note. 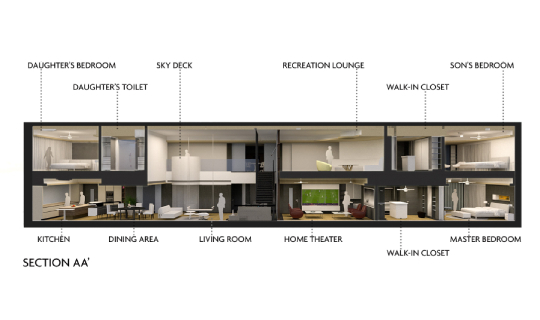 The foyer leads into the family living room, flowing fluidly toward the dining and open kitchen, and spreading visually to the recreational lounge and open passage on the upper level. 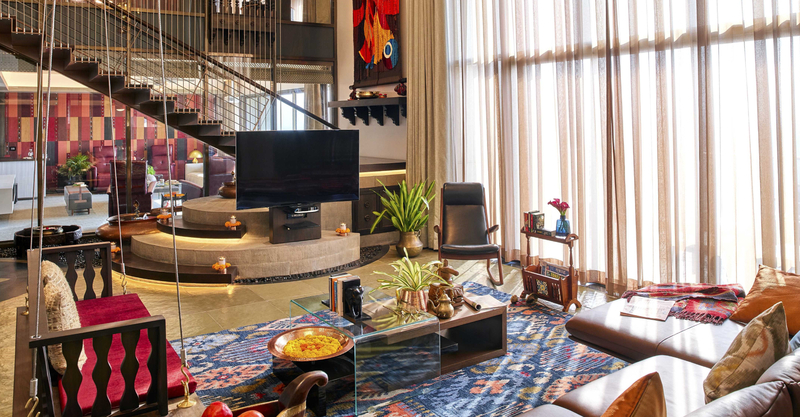 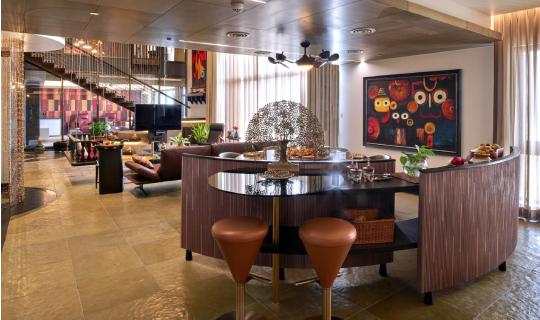 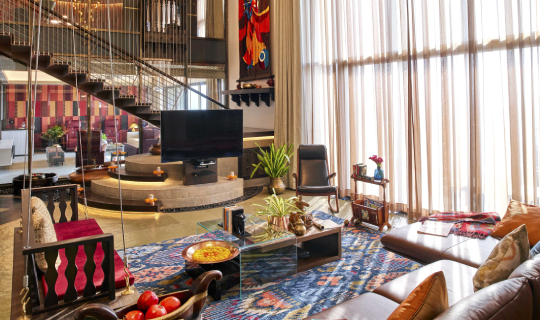 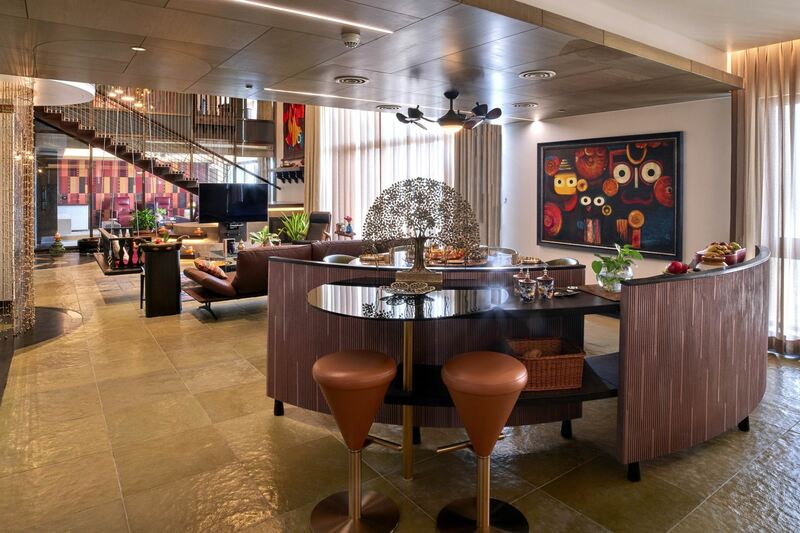 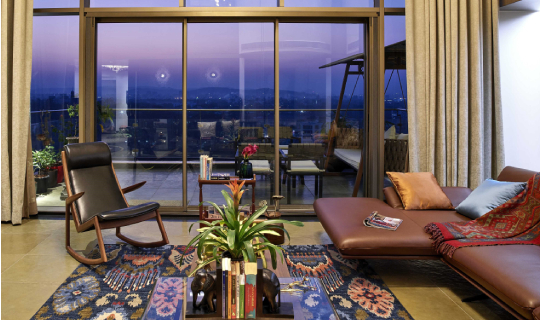 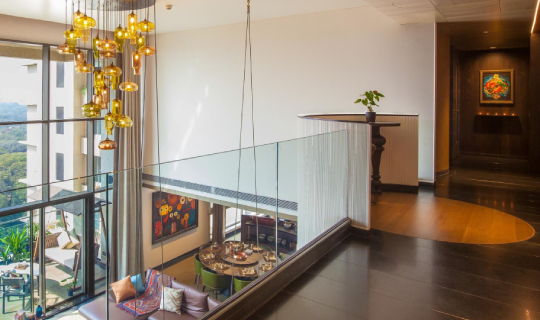 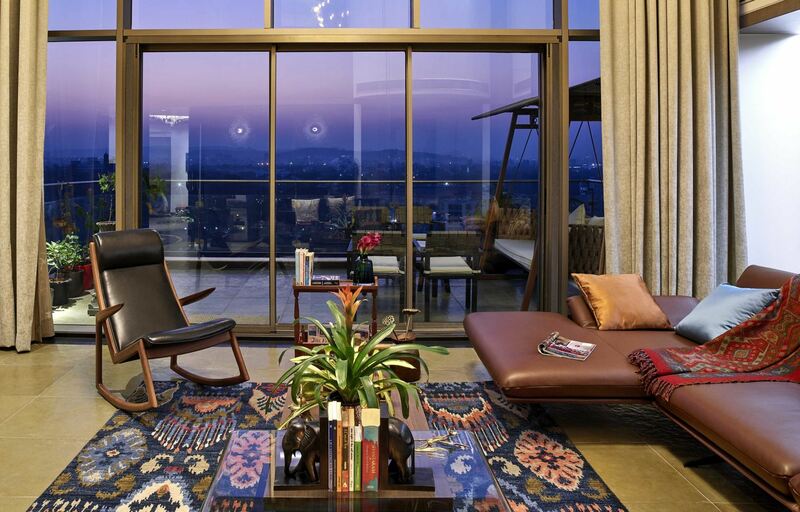 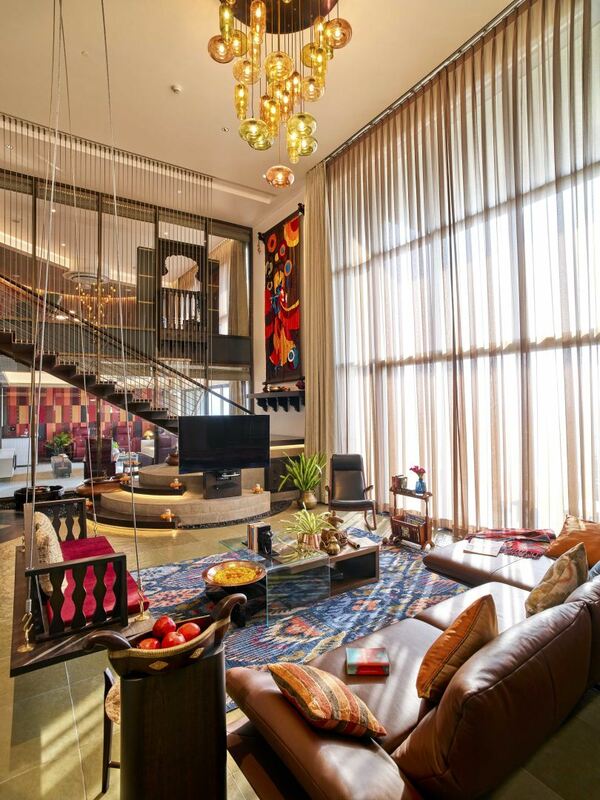 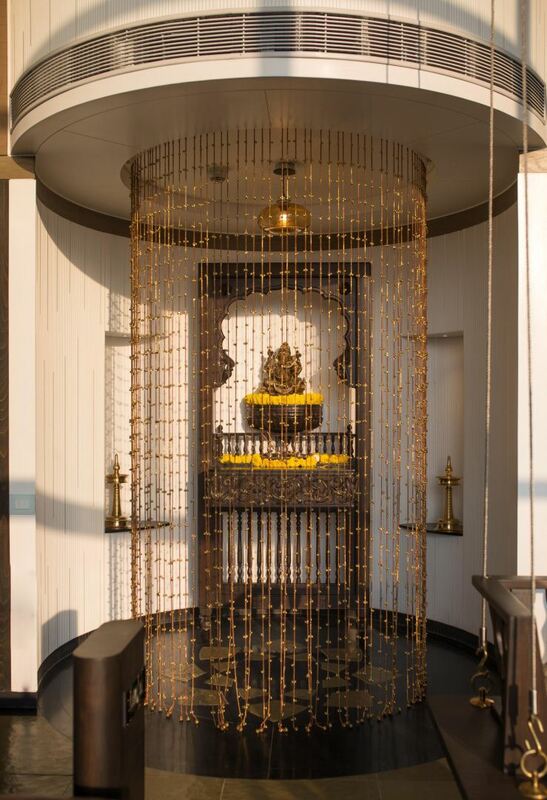 Interactive elements like a traditional salvaged wood jharokha and a sunset gallery protrude into the vertical volume overlooking the family zone below, creating a seamless link between each zone. 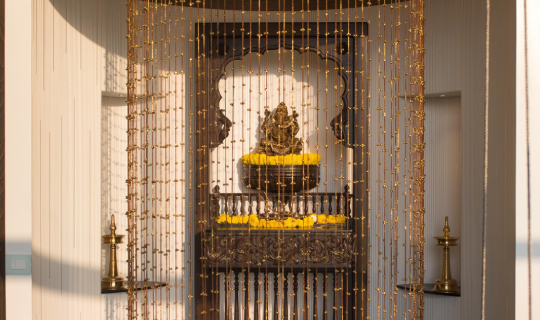 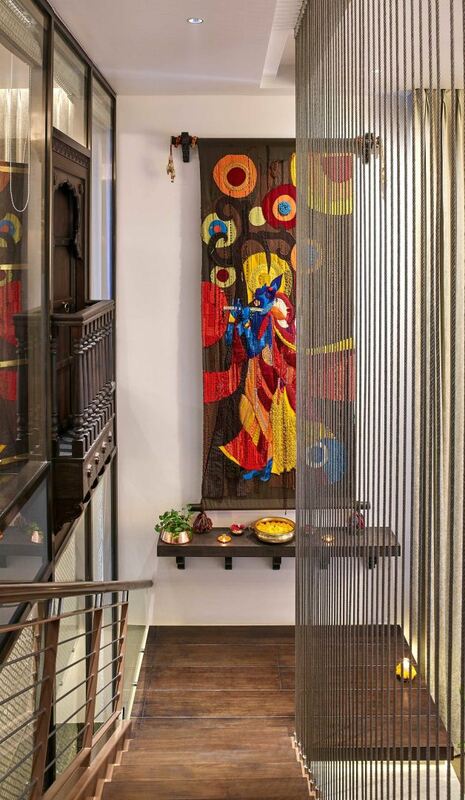 The Puja alcove appending the living room is a divine source of celebration, facilitating the family’s eternal holy journey. 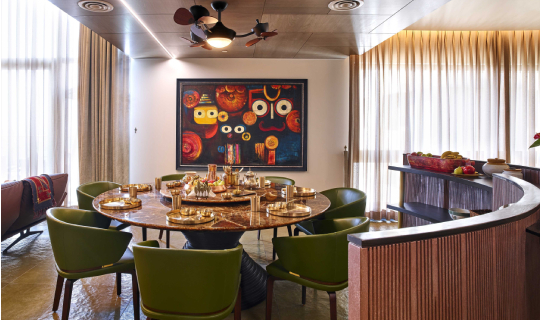 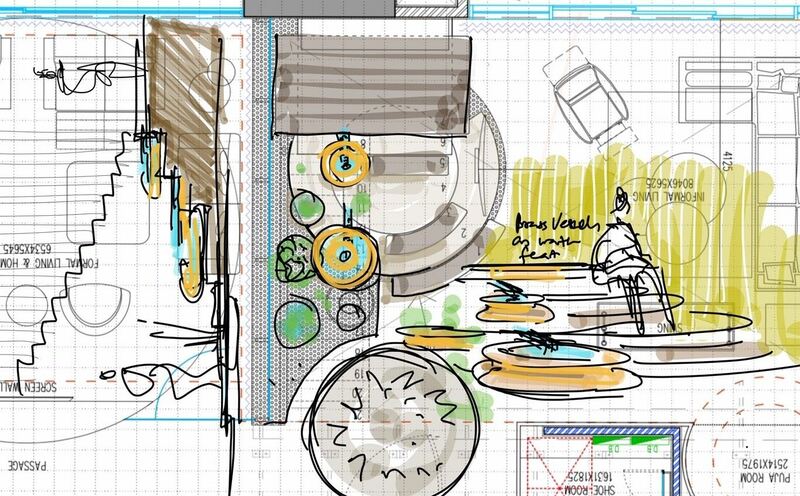 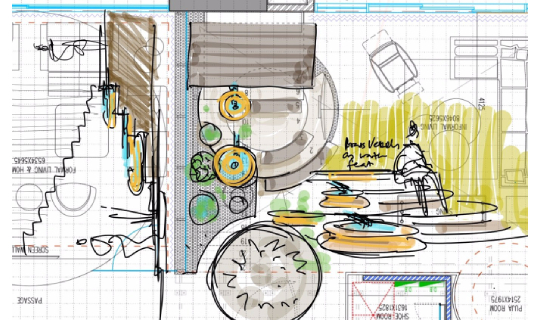 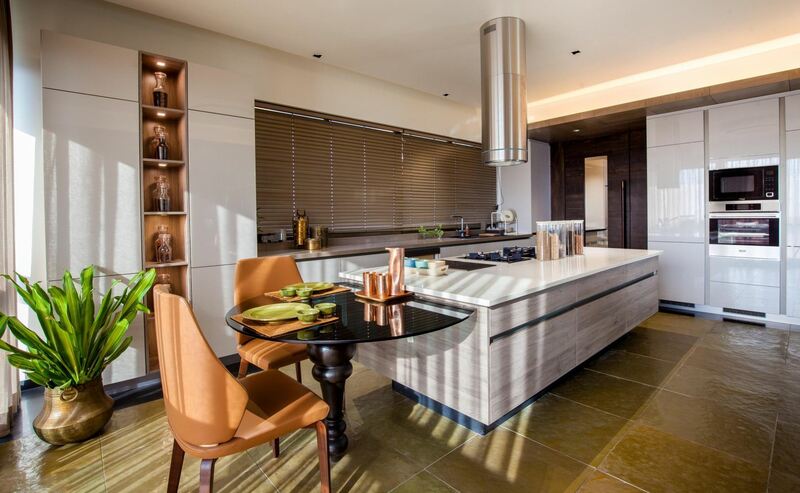 The connected open dining and kitchen act as a bonding space for everyday festivity, unity and reverence. 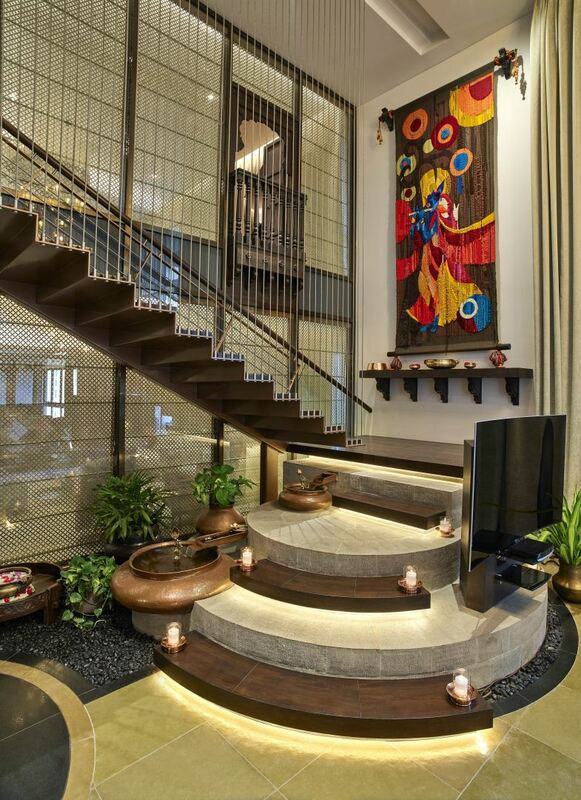 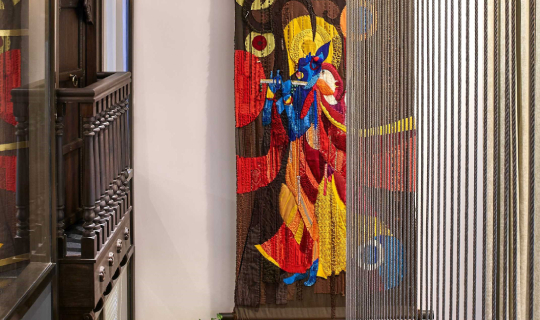 The floating folded plate staircase leads upward to a woven fabric wall artwork, inspiring the feeling of ascending toward a holy shrine. 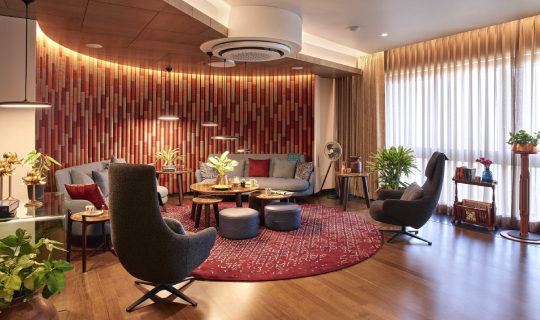 The recreational lounge is a colourful family den, facilitating entertainment and leisure in its casual seating and warm accents. 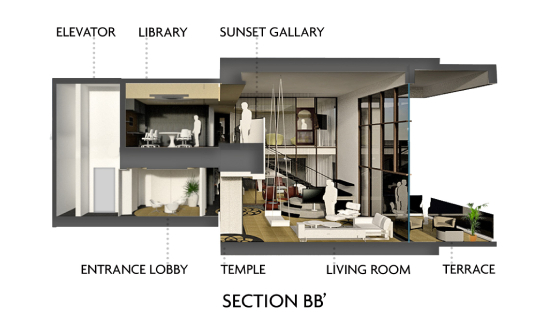 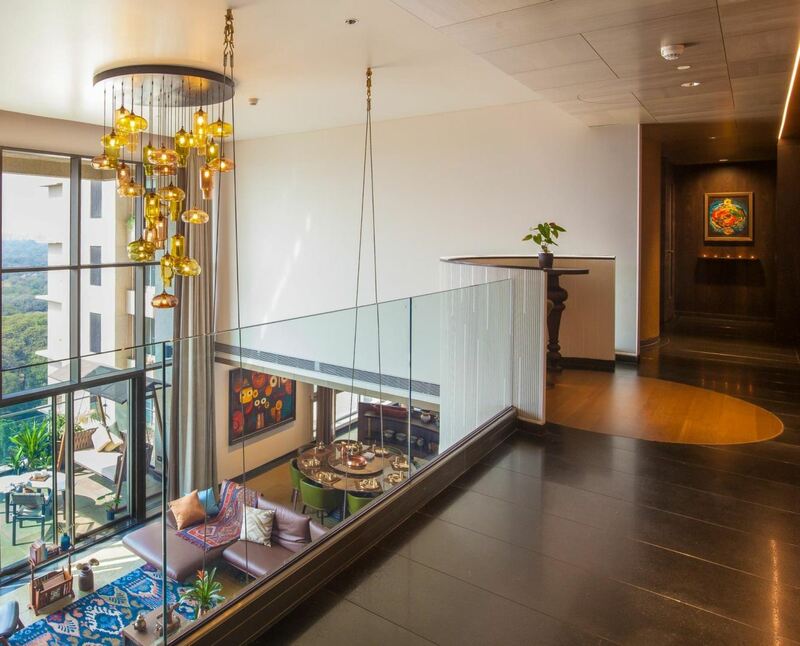 Open connecting passages link family spaces with the private rooms and suites, facilitating stunning views of the outdoor terrace and greenery beyond. 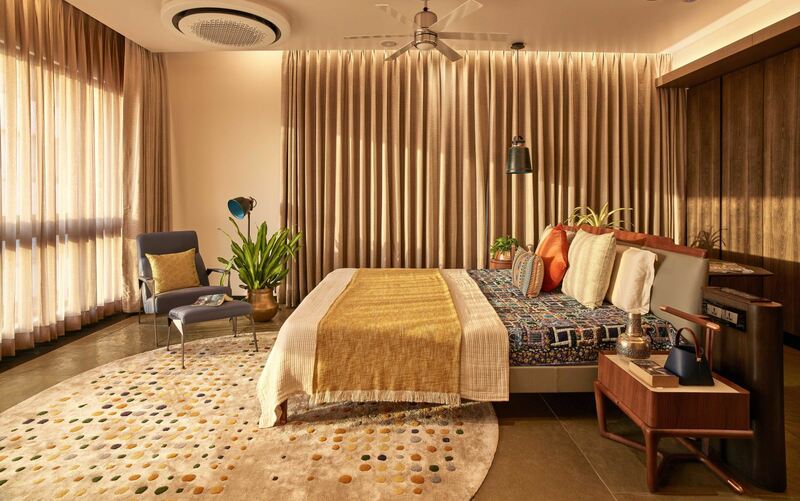 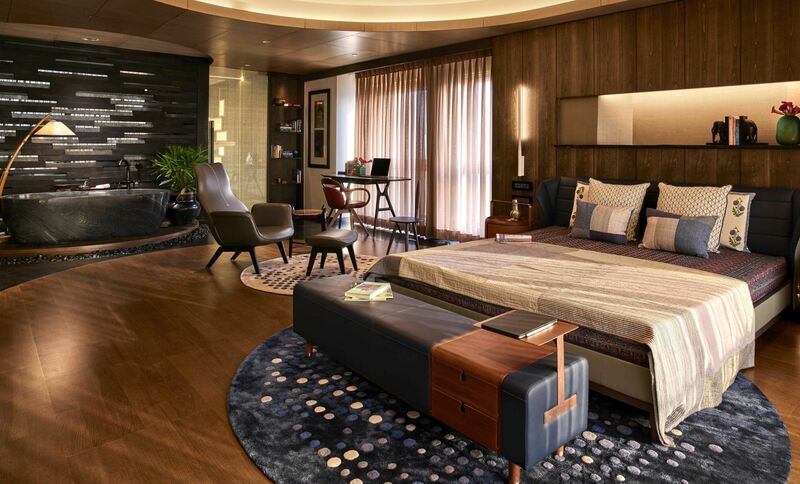 Tucked into the cozy corners of the home, the private bedrooms act as restful refuges accommodating relaxation and retrospection at the end of each day. 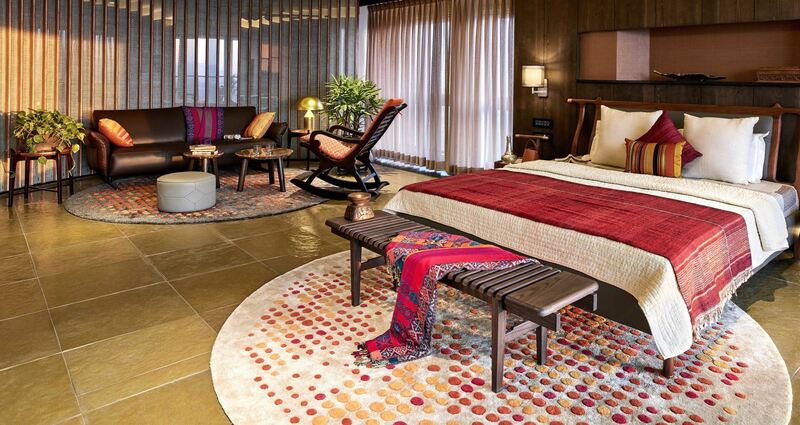 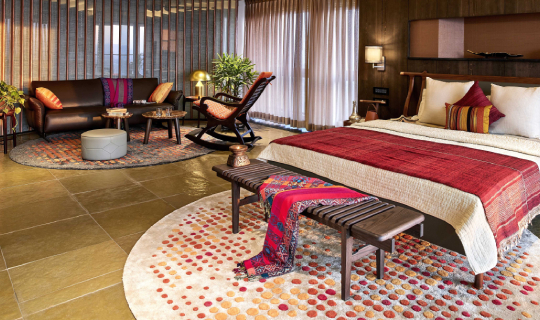 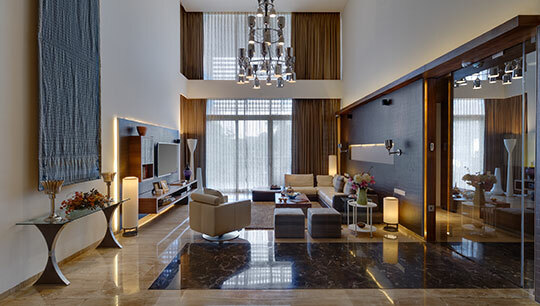 Customized fixtures and furnishings allow a unique identity to each suite giving it the feeling of a cozy sanctuary in itself. 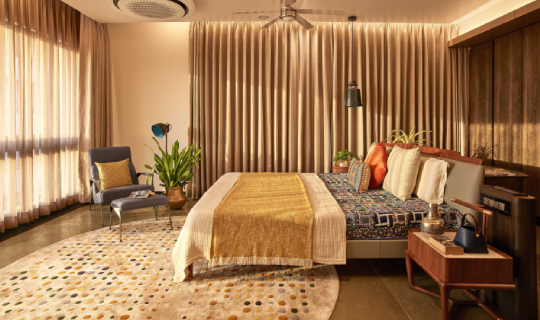 The home entails diverse spatial, visual, tactile and auditory experiences through an exploration of traditional craftsmanship and natural materials, forming a subtle backdrop for the everyday celebration and festivities on the family’s collective spiritual journey.